NIFT Bangalore is one of the most renowned Fashion Designing Colleges whose parent organization is National Institute of Fashion and Technology. NIFT was established by the Ministry of Textiles, Government of India, in technical collaboration with FIT, New York in the year 1986. Since its establishment, NIFT Bangalore Campus has produced more than 6000 Alumni who are working at various levels in leading national and international organisations. National Institute of Fashion Technology Bangalore is one of the prestigious which offers admission to the eligible candidates in Bachelor of Design (B.Des.) and Bachelor of Fashion Technology (B.FTech.) on the basis of NIFT Entrance Exam. 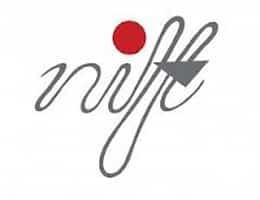 NIFT has signed MOUs with various member institutes of IFFTI. Some of the prominent ones being Hogeskolan I Boras, Sweden, Birmingham School of Art &amp; Design, UK and RMIT, Australia are to name a few. NIFT Bangalore Application Form 2018 can be filled online from 20 October 2017 to the 29 December 2017. NIFT Bangalore offers Bridge Programme which usually commences in the month of January every year. Bridge programme is introduced as a supplementary programme that would allow former NIFT Graduates to enhance their Diplomas into Degrees. The candidates are required to submit Original diploma for Registration and Verification along with Demand Draft of Rs. 81000 fee for one Semester. Duration of one Semester is 6 months. NIFT Admission in Bachelor of Design (B.Des.) and Bachelor of Fashion Technology (B.FTech.) programmes are done on the basis of NIFT Entrance Exam. NIFT Entrance Exam 2018 is scheduled to be held on 21 January 2018, in Pen and paper-based mode. Approximate Semester wise fees for students selected for those who seek admission in NIFT Delhi. The fees are excluding the hostel/accommodation fees.